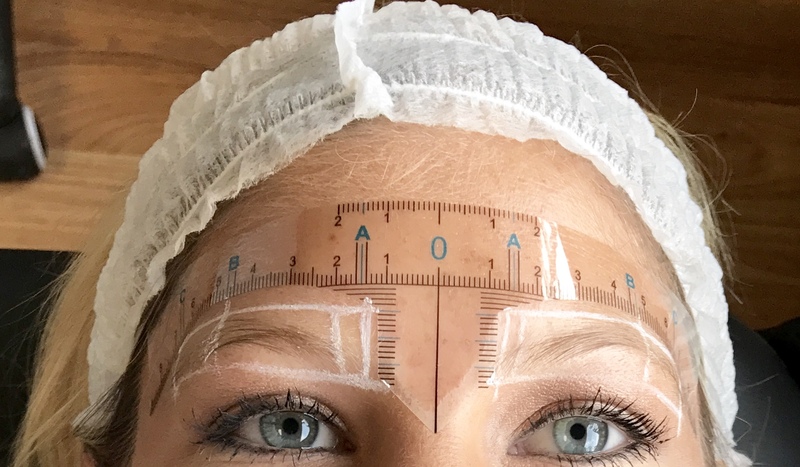 I’m here today to talk about my most recent beauty treatment, microblading! Let me start off by saying if you are from Kentucky or live around the Lexington area, I highly recommend Holly at Feather & Blade. She is absolutely wonderful! I couldn’t be more pleased with how my brows turned out and the overall experience. For starters, this is something I have been thinking about doing for the past couple of months. I didn’t just wake up one day and say, “oh I think I’ll have my brows done.” There was a lot of consideration taken into account, along with the pros and cons. My normal hair color is a dirty blonde but since I get highlights I consider myself a blonde. My eyebrows are fairly similar to the color of my roots (dirty blonde) and they are thin. I usually like to fill them in with a matte or eyebrow pencil and you all probably know how old that can get. That’s when I really started considering the microblading procedure. (Fun fact about my brows, they’ve never been waxed or died. I rarely even pluck them. So to be quite honest I don’t do a lot of maintaining on them. I’d just fill them in when I got ready and call it a day.) 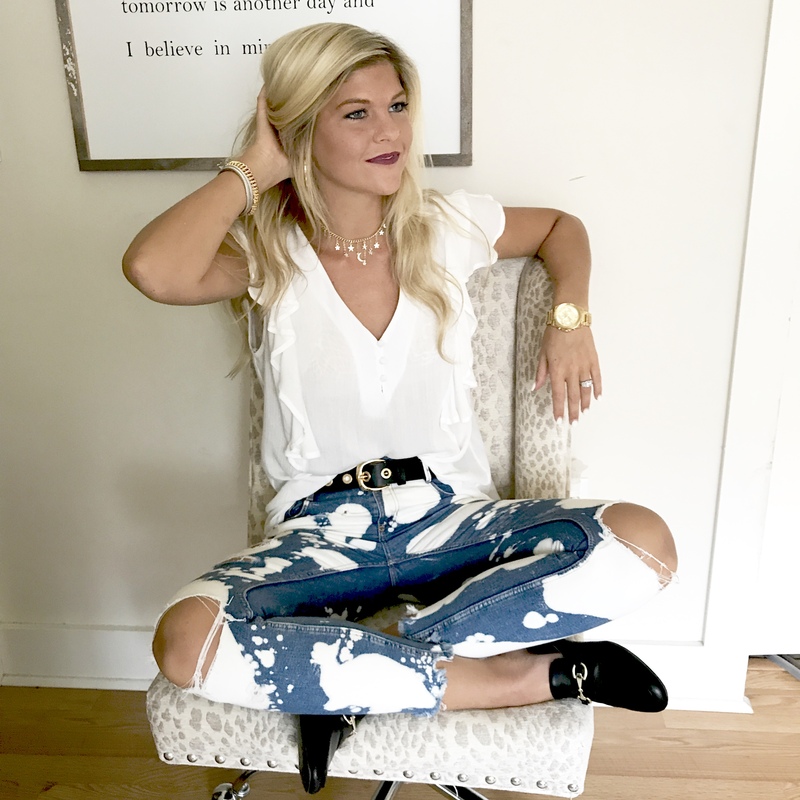 I knew this would be a beauty hack that would shave off some time when I’m getting ready and no matter the day or the hour I would always have the brows that I want and like! That led me to watching youtube videos, blog reviews (like the one that I’m writing now), and topic discussions all about microblading. When I decided I for sure wanted to do it, I booked an appointment, and never looked back. As soon as I got to Feather & Blade Holly addressed all of my concerns and answered all of my questions. I have to admit I was pretty nervous before the procedure and still had a shred of doubt. Would it hurt? How long would it last? How dark will my brows be? Will this change my entire look? Will you be able to see the strokes? Will it look natural? All the questions you all have thought of, I guarantee I did too. If you are going to get this procedure I suggest being open and honest from the get go. You’ll feel 100X better and confident that you made the right decision. Ask all the questions, it never hurts!! Now let’s dive straight into the details all you are wondering about! At the end I’ll briefly be answering most of the common questions I got from you all! First I signed my paperwork, discussed my concerns with Holly, and asked her all of my questions. We went on to take the ‘before’ photos, then I removed my face makeup, and she applied a numbing cream. After that we headed to where the magic happens! She led me to her chair and put the measuring tool on my face. It was a sticky adhesive material that didn’t hurt at all. This was the step when it really got real for me! She marked up the lines where she thought the shape looked the best. From there she handed me a mirror and we both went back and forth on a couple of touch ups. Once I figured out the shape and arch I wanted it was time to begin. Before taking the micro blade to my brows she removed the numbing cream and explained we would be doing 3 passes (1 pass is both the right & left brow). She advised me that the first pass would hurt and she was right! The first round, when my brows were becoming familiar to the blade, feeling, and lidocaine was the most painful. On a scale of 1 to 10 (1 being minimal pain, 10 being unbearable pain) I would say it’s about a 6 or 7. It’s more of an uncomfortable, unusual feeling, than a piercing feeling. I have one tattoo on my finger and I was expecting this procedure to be about the same. Let me tell ya, for those of you who have tattoos, microblading hurts way less!!! Although it’s a bunch of tiny blades brushing into your skin, it’s not a needle piercing deep. As she does she each pass she applied lidocaine. That helped numb the entire area throughout the procedure. After the 1st pass she let me look in the mirror and see what I thought. We came to the consensus that the first color we chose, Taupe, may have been a little too light. You could really notice a difference since the color just blended in with my skin and eyebrows. We decided to try one shade darker and I immediately loved it. 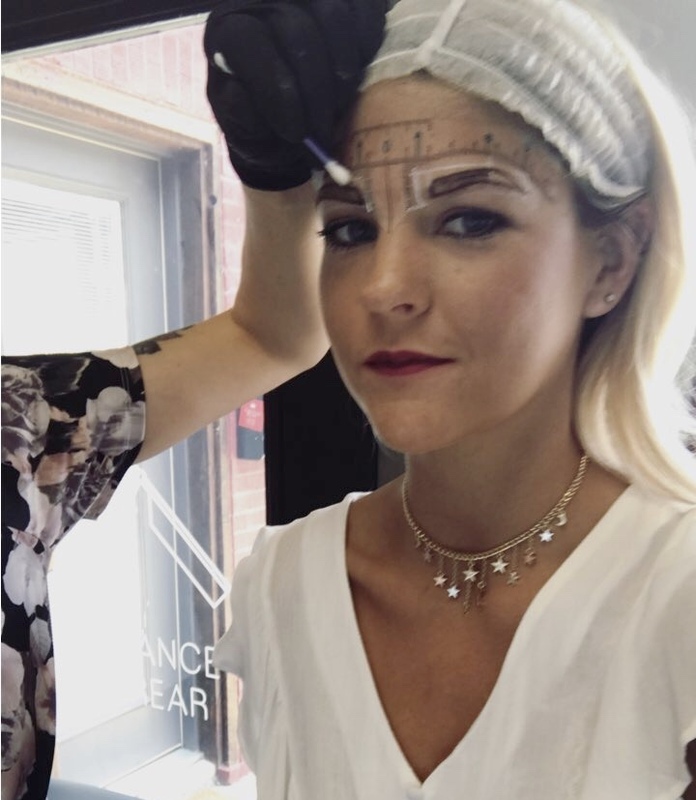 After finishing the 2nd and 3rd pass Holly handed me the mirror and said, “take a look.” As soon as I sat up I was like, “omg I’m in love.” Within 30 minutes I had the brows I had been dreaming about. In 6 weeks I will head back for a touch up. This will give my brows time to heal and set to the normal color. After that we can see what we need to fill in or add. Did it Hurt? a little bit.. after a while I got use to the pain & the lidocaine set in. Do I love it? OMG, yes!!! So happy with the color and shape! would definitely recommend to everyone who is considering this procedure! How did you know what shape you wanted? I wasn’t entirely sure what shape I wanted until I saw her marks in the mirror. I knew I wanted more of an arch and definition. At first I had a pointy edge on the outer part that we made a little rounder. That was the only big shape correction we made from her original marks. How did you know what color you wanted? At first we tried ‘Taupe’. We applied it the first pass and noticed it wasn’t as dark as I hoped for. We went one shade darker and it turned out perfectly. Just ask your artist what color they recommend and compare your options. How is the healing process? It’s going great. I’ve noticed some slight color changes, but overall very good. Did yours scab? There’s some scabbing around the top area of my brow where she made more strokes. Surprisingly they don’t itch as bad as I thought they would. Normally when my skin heals it itches but my brows are definitely tolerable. Would you do it again? Oh yes, definitely! Absolutely! As I said before, I definitely recommend this procedure if you’ve been thinking about it for a while. I would just advise you to consider everything I discussed and if you think new brows are fom you! Did you have a touch up after your initial microblading? Yes I went for a 6 week touch up!